PanARMENIAN.Net - American private intelligence and analysis company Stratfor revealed in a recently published story that the Trump administration will take steps in 2019 to strengthen its influence in Eastern Europe, Central Asia and the South Caucasus in order to contain Russia. First of all, Moscow's closest allies - members of the Collective Security Treaty Organization (CSTO) and the Eurasian Economic Union - will be in focus. Since is difficult to draw Belarus awaw from Russia for objective reasons, the United States intends to intensify diplomatic efforts in Central Asia and the Caucasus. But Minsk will not be ignored. 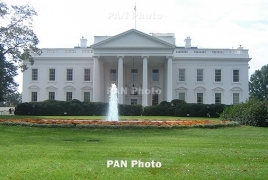 As an immediate task, the White House has determined the establishment of close relations with Armenia, Nezavisimaya Gazeta says. None of the allies help Armenia in the war for Nagorno Karabakh, the piece says. "Even when Azerbaijani saboteurs entered Tavush province, Yerevan was left without support. Moreover, the CSTO allies — Russia, Belarus and Kazakhstan — sell weapons to Azerbaijan (which is at war with Armenia). And all because the treaty does not prohibit its participants to trade arms with anyone," the article says. "Until recently, Armenia was considered Russia's most reliable ally. But after the velvet revolution the Americans took advantage of [the situation] and immediately sent emissary John Bolton. After being offered to buy American weapons, the new leader of Armenia said: "The government is not bound by any restrictions. And if a good offer comes by from the U.S., we are ready to discuss it." In addition, a criminal case was launched against the now former CSTO Secretary General Yuri Khachaturov and the local subsidiary of Gazprom. As a result, relations between Yerevan and Moscow immediately steamed up.